Prominent & Leading Manufacturer from Pune, we offer bottom entry agitator. We have gained appreciation as a best organization for providing Bottom Entry Agitator. Offered agitators are manufactured using the best quality components and progressive technology under the vigilance of skilled professionals. 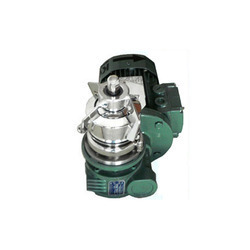 The provided agitators can be availed in different designs and specifications as per the demands of the clients. Apart from this, offered agitators are checked on various parameters in order to maintain their quality. Looking for Bottom Entry Agitator ?